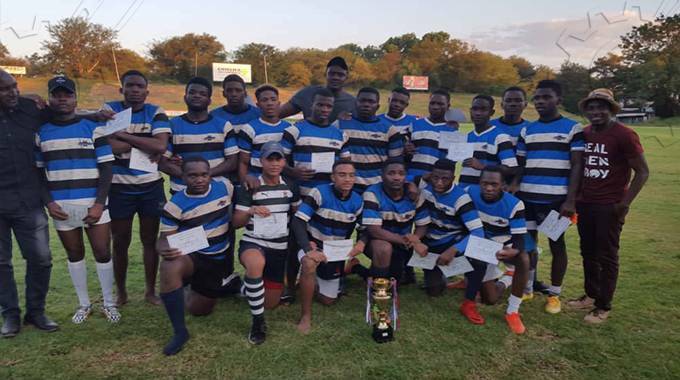 MATABELELAND Warriors successfully defended the Bulawayo Metropolitan Rugby Football Board Under-21 trophy when they floored Old Miltonians 36-19 in the final played at Hartsfield Rugby Ground on Saturday. Warriors put up a polished display, which saw them outscore OMs by six tries to three. At halftime, Warriors led 19-14, but upped their game in the second half, which saw them scoring 17 points, restricting OMs to just one try. Wing, Emilio Wilson scored two tries, with fullback Dayton Phiri, scrumhalf Ethan Wilson, flank Mhlanga and tight head prop Sovereign Mwanyenya each crossing the whitewash once. Hilton Gwekwerere booted in two conversions, while Noah Muunganirwa kicked in one. Warriors lifted the trophy and certificates were given to each player from the four teams that participated in the competition. Highlanders and Bulldogs were the other participants in the season opening tournament. Jafet Ndebele, the Matland Warriors coach was delighted to defend the trophy they won last year and felt his players worked hard to crack a tough opponent. “I would like to thank the boys, they really deserved it. They came in and put the hard work. It was not an easy mountain, but they managed to climb it and win. We are looking forward to playing the Harare side. If we can get other schools to feed into this league, it would great,” Ndebele said. Warriors now wait to see if their proposed fixture against the Harare Under-21 champions will go ahead.